Thingalur is the sthalam for Chandran.Thingal in Tamil means Chandran and hence the name Thingalur.Chandran is the Lord of Kadaga Rasi and he faces the South-East direction.The Adi Devatha is water; prathyathi Devatha is Gowri; his colour is white and his vahana is white horse. The grain associated with him is paddy, rice; the flower – white arali; fabric – white cloth; gem – pearl;rice - Curdrice. The Devas and asuras were churning the paarkadal using Mandira Malai and the snake Vasuki. The asuras held the head portion of the snake and the devas, the tail portion. When Lord Vishnu was distributing the Amrutham amongst the devas, at the behest of Sukracharya, one of the asuras in the guise of a deva consumed the nectar. 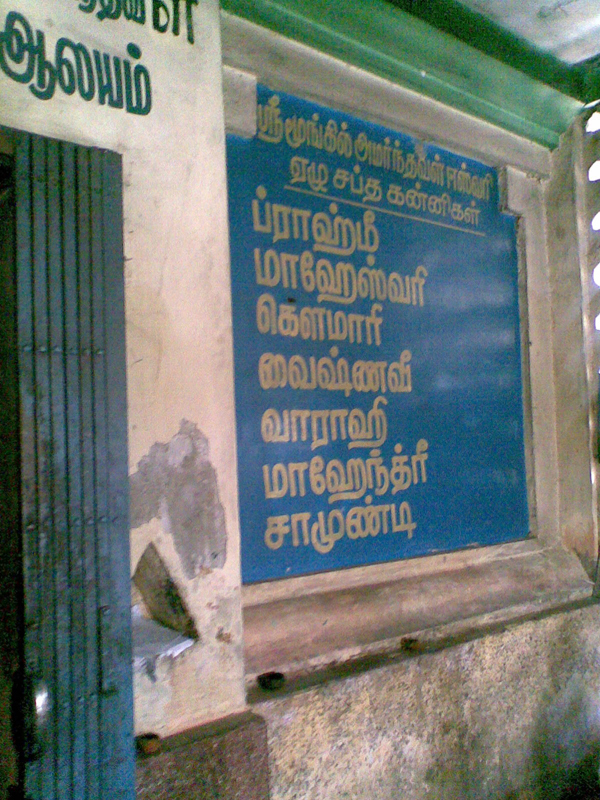 Suryan and Chandran noticed this and complained to Lord Vishnu. An angry Vishnu used his chakrayudham (discus) to cut the asura into two and threw them away. 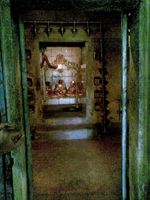 The head joined with a snake’s body to become Rahu Bhagavan. The body portion kept growing because the asura had consumed Amrutham. This later joined with the head of a snake and became Kethu Bhagavan. Now, Rahu and Kethu did not forgive Suryan and Chandran. Rahu went after Chandran and started consuming him. 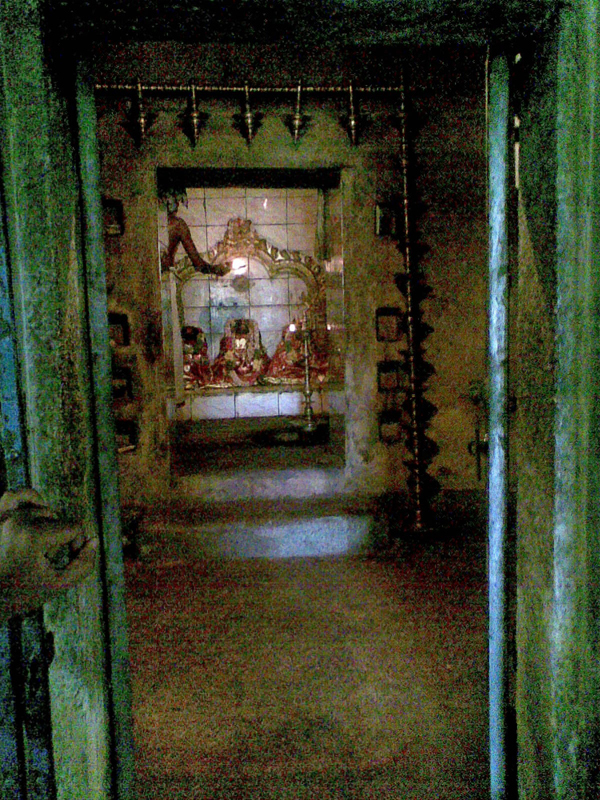 It is here that Chandran prayed to Lord Siva and got his blessings. Shiva blessed Chandran with the power to grow back to full size in 15 days after being consumed by Rahu. That is why we have the waxing and waning moon. Shiva also blessed Chandran by adorning Chandran on his forehead so that anyone who prays Shiva will have to pray Chandran. 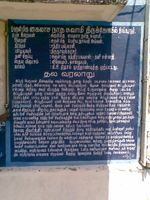 Another story for waxing and Wanning period of chandran is,King Dakshan gave all his 27 daughters in marriage to Chandran. 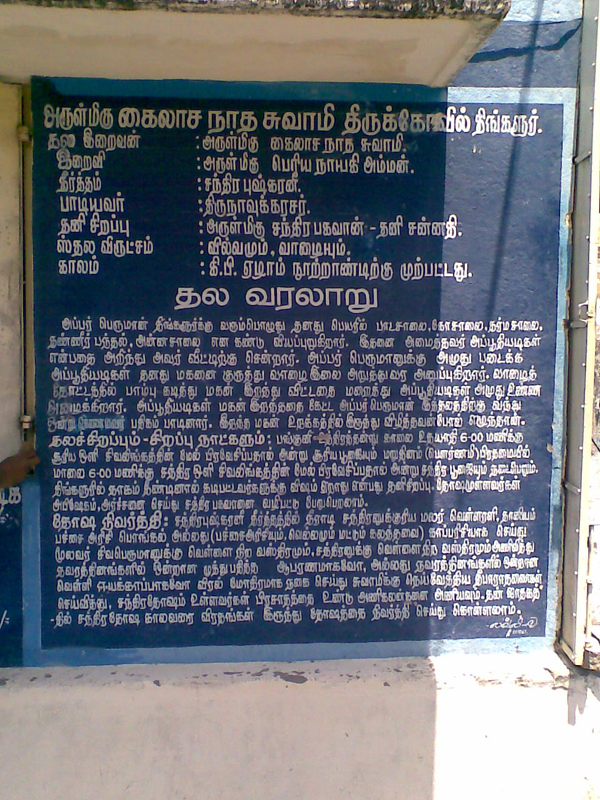 Those 27 wives of Chandran are the 27 stars in Tamil Calendar. As Chandran’s favourite was Rohini and he spent most of his time with her, the others complained about this to their father. King Dakshan asked Chandran to treat all of them equally, which Chandran refused. An angry Dakshan, cursed Chandran that all his beauty and brightness will disappear slowly everyday. A worried Chandran, on the advice of Lord Brahma, then performed penance on Lord Shiva. Lord Shiva appeared before him and adorned his forehead with the crescent-shaped Chandran. 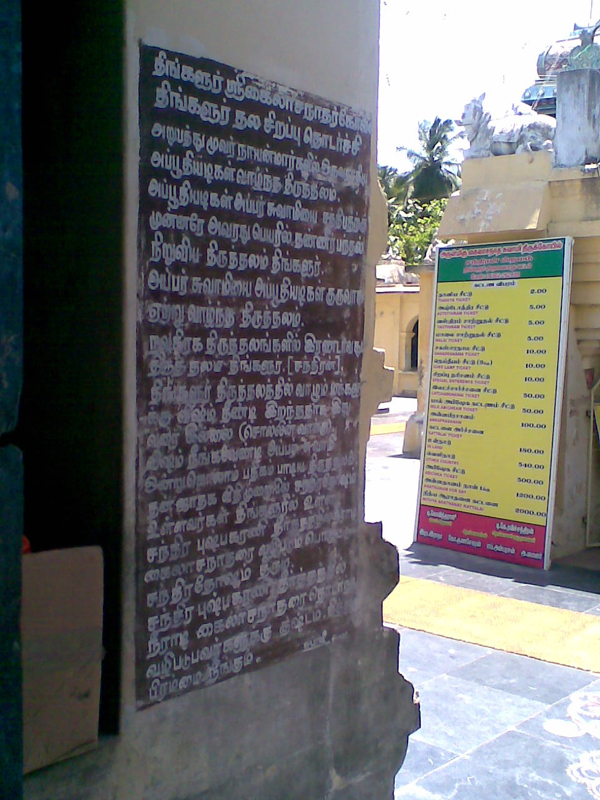 Shiva then came to be known as Chandrasekaran also. He blessed Chandran to regain his beauty and brightness slowly day by day. This waxing period of the moon is called Sukla Paksham or Valarpirai. Chandran gets back all his beauty and attains full brightness on Full moon day or pournami. From Pournami to the full moon day he again starts loosing his beauty and brightness till the New moon day or Ammavasai. This waning period of the moon is called Krishna Paksham or Theipirai. 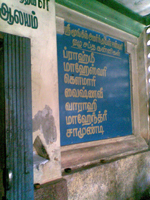 which is located 18kms from Kumbakonam, enroute to Thiruvaiyaru.